Sandir The Perfumery School offers online and face-to-face courses in personal perfumery and custom-made InCompany training. Face-to-face training in perfumery is taught in different cities of the Spanish territory. The Perfumery course is aimed at those who want to deepen knowledge in perfumery, from the part of history through the classification of fragrances in families, know the main raw materials of essential oils used in perfumery to illustration in products of market, alcoholic perfumery, ambience and cosmetics. It is a very complete course, the way in which it is structured makes it very easy to progressively learn, besides any doubt or query that you have to do, the speed of response and solution of it is incredible. There is a lot of content, many explanatory PDFs of each unit, in addition to documentary videos and various news, it is always good to know a little beyond the agenda. I have learned a lot, more than I expected, so my degree of satisfaction is 10. The course of perfumery has been enriching, from discovering the origins of perfumery and its evolution up to our present time, as well as the olfactory marketing focused on companies. I have learned to appreciate and to perceive the smell of the essences in a different way, putting name to him of the sensations that each of them produced me, this part has been like the fun of a game, guessing of what essence it was. Thank you, Sandra, for your time, resolving in a very close way all my doubts and expanding my knowledge in this sector. Just to say that it has been a pleasure both, the course and the treatment received. My work experience is linked to the perfumery sector and I was looking for a course to complement it. This course has helped me to learn aspects of perfumery that I did not know as well as to reinforce concepts. Especially the essences kit, classified by families, has been fundamental, since they are the base of perfumery and its study to deepen more complex compositions. I recommend the course to all the people that want to learn and do not have the possibility of teaching a course of face-to-face perfumery, this course is a very good alternative. Well structured, it can be done from home, super updated, provides essential oils to practice and is also approved. Do not think about it! I have had the pleasure of collaborating with Sandra professionally and I can say that she is a great professional. Their knowledge is essential for any member of our industry. His ability to work, his proactivity, his tenacity and individualized interest to all who work with or for her are of the highest level of professionalism. CEO Global Fragances Labs, S.L. In my opinion it is a very complete course, with a very wide variety of raw materials from the different perfume families, which allows practically recognizing the main components of a multitude of commercial fragrances. 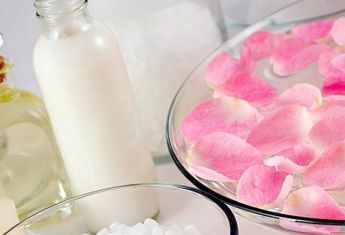 Also other raw materials less used in human body perfumery, if they are in industrial cleaning with which the universe of knowledge is greater. It really is a very good and exhaustive introduction that will give practical tools to the student. Sandra Iruela has taught a perfumery course for the specialized odor consultancy Odournet. In it, 15 consultants from different European delegations of the Group participated. The course has been focused in a dynamic and practical way, and has allowed deepening knowledge for the characterization of fragrance scents. I wanted to do the Advanced Perfume course because my professional career has always been linked with fragrances and perfumery. This course has given me the main bases to identify raw materials in the fragrances and above all to achieve “olfactory memory”, that is, to remember the smells thanks to the essential oils kit that the course provides. I recommend 100% to those people who are dedicated to this sector and want to expand their knowledge. 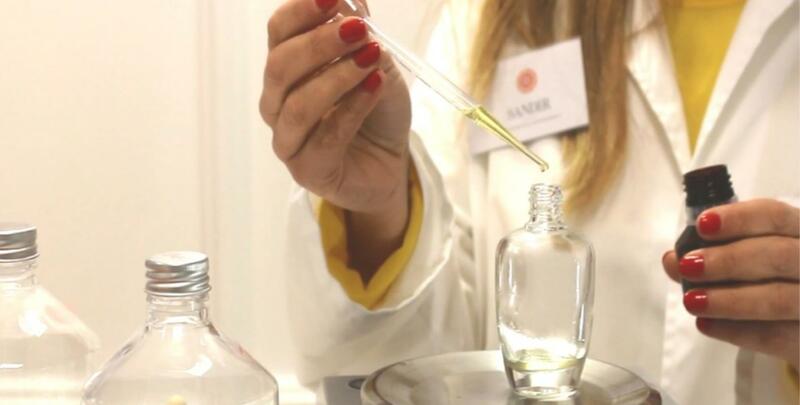 Sandra Iruela gave a perfumery workshop to the IMAGE DE MARQUE team to discover the art of perfumery. It was very interesting for us, specialists of the images, to know better the world of the fragrances and to learn the process of elaboration and evaluation. And by the hand of Sandra, a passionate and enthusiastic professional, a very special experience! Welcome to Perfumery School Sandir. Online and face-to-face courses about perfumery.